1. To get Heidi Klum's hairstyle, start by applying a heat protectant to damp hair, then blow dry. 2. Use a fine tooth comb to create a side part that starts at the arch of your eyebrow. 3. On one side of your part, start braiding a medium-sized section of hair, starting at the temple. Once you reach the nape of your neck, secure with bobby pins. 4. On the opposite side of your part use a 2-inch curling iron and go layer by layer to curl the hair outward. 5. Use a pomade to smooth down any flyaways and finish with a flexible hold hairspray. 1. 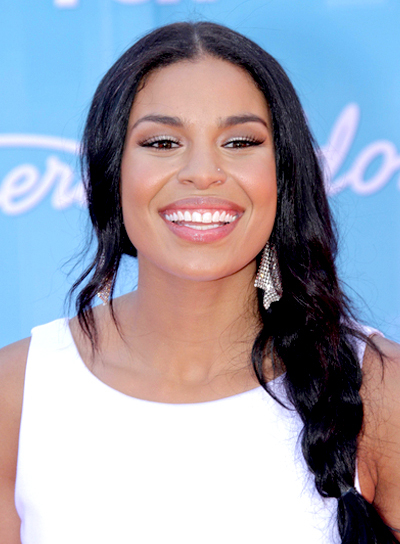 To get Jordin Sparks' hairstyle, apply a smoothing cream to your damp hair and part in the middle. 2. Blow dry your hair completely with a large round brush to emphasize natural wave and body. 3. Pull hair loosely over one shoulder and braid. Secure end with an elastic. 4. Mist your hair all over with texturizing spray to finish. 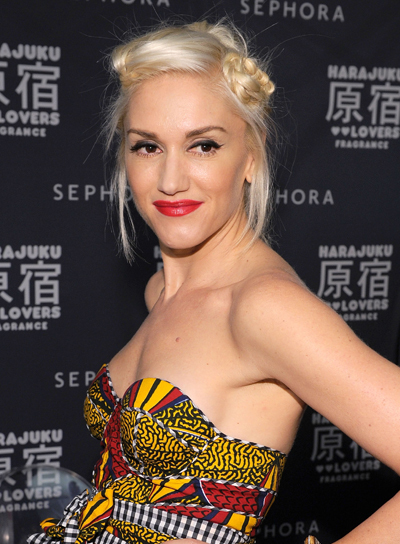 Gwen Stefani's twisted hairstyle is a great way to draw attention to your hair. See how to get the look:1. Start by parting your hair to the side. Take a small section of hair near the front of your face and twist it into a little bun. Secure the twist near your hairline using bobby pins.2. Use your fingers to comb the rest of your hair into a low bun, using an elastic to secure it in place. 3. Pull out a few wisps of hair around your face to add a romantic effect, and mist all over with strong-hold hairspray to finish.